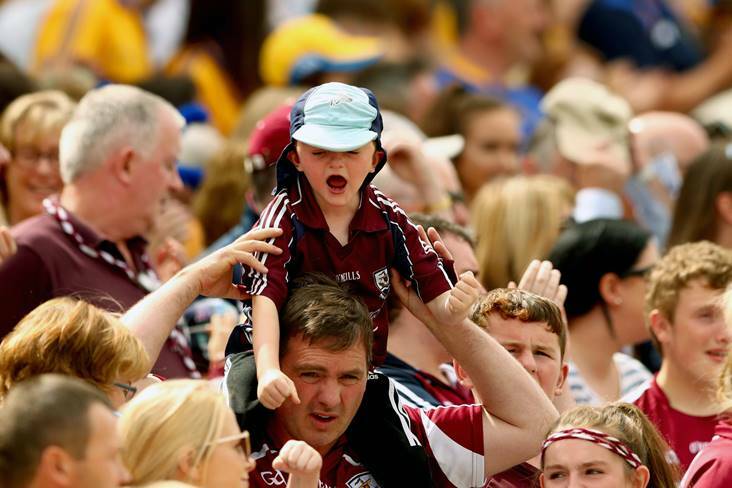 Galway fans celebrate after the All-Ireland SHC semi-final replay victory over Clare at Semple Stadium, Thurles. "People were saying we didn't perform and stuff like that. But only being behind once in an All-Ireland semi-final over two games just shows the character we have." Galway answered their critics in Semple Stadium yesterday, according to Joe Canning. "The second-half was nip and tuck. We got a good start similar to the last day but testament to Clare they came back really strong in the second-half. Our boys again showed great courage, great heart, determination, everything that you need of a quality team." Limerick now stand in the way of Michael Donoghue and Galway's bid for back-to-back Liam MacCarthy Cup successes. "We acknowledge and recognise Galway, the great champions that they are. 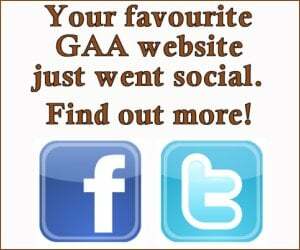 Many other teams would have buckled in that second-half but, unfortunately, Galway didn't." Clare joint-manager Donal Moloney was magnanimous in defeat. "I think a change of voice and a change of direction will be good. I also think by taking me out of the equation, it can remove some of the over-the-top negativity that was coming at the team, which I feel was unfair." Eamonn Fitzmaurice's six-year reign as Kerry senior football manager came to an end on Saturday evening. "Maybe he wasn't universally approved by everyone but there were some scurrilous remarks that nobody deserves. That's not part of the GAA. You can agree or disagree with his training methods or his team selections but that's going too far." Colm Cooper spoke out against some of the over-the-top criticism that his former manager/team-mate has been subjected to. "Any time Kerry don't reach a semi-final, you're underachieving." Kerry 'man-of-the-match' David Clifford admitted they have fallen short of the high standards they set themselves this year. "It is just embarrassing when you see mistakes like that at this level. There was contact, it was definitely a yellow card because he came in late, but as I said, and I understand the rules quite well, definitely no striking. It's just a shocking decision." Neil Flynn's red card was a major talking point after the final whistle in Killarney and Lilywhite boss Cian O'Neill wasn't impressed with referee Derek O'Mahoney's call. "If you were talking to him over the last five months it hasn't been a surprise at all. He's been very focused on what he wants to get from himself and a great medical support team in Dublin have given him great support over the last couple of months. So no, I haven't been surprised." Bernard Brogan's earlier than expected return from cruciate ligament surgery hasn't come as a surprise to Jim Gavin. "I think it would be fair to say that we've probably beaten everybody at our level or a little above that. But when it comes to facing the top teams, the Dublins, the Tyrones, we come up a bit short, so that's something we have to address and work on." Roscommon's participation in the Super 8s hasn't gone according to plan and selector Ger Dowd admits they have work to do. "It probably was his best performance in a Tyrone jersey and that's saying something." Colm Cavanagh was singled out for praise by Mickey Harte following the Red Hands' seven-point victory in Ballybofey. "We set out our goal at the start of the season to win an Ulster title and get into the Super 8s. We had a lot of new lads coming in, but at the same time we're very, very disappointed with the way we've exited the championship in Ballybofey." Declan Bonner and Donegal can look back on 2018 with a lot of satisfaction. "It is great. After we lost to Fermanagh a lot of people could have lost faith. But we went down to Waterford and the one thing that gave us a massive boost, when we arrived in Waterford at the ground, there was maybe 4,000 Monaghan supporters there, they followed us on the journey and they just showed us how loyal they are." Malachy O'Rourke's Monaghan players rewarded their supporters' loyalty in Salthill on Saturday. "The hungrier team on the day. It's great to qualify after two games but sometimes that can come into it. You hope that doesn't happen." Galway now must prepare for a semi-final meeting with Dublin and Kevin Walsh will demand an improvement in their intensity levels. "Everybody worked so hard. The defence put in some great tackles. And we got brilliant ball into the forward line. You are only as good as the ball that comes in." Jimmy Hyland produced a brilliant display in Kildare's All-Ireland U20 final victory over Mayo. "The future is looking good. Many of this squad will become seniors in the next couple of years." Manager Davy Burke delivered a first All-Ireland success for the Lilywhites since the U-21 win of 1965.